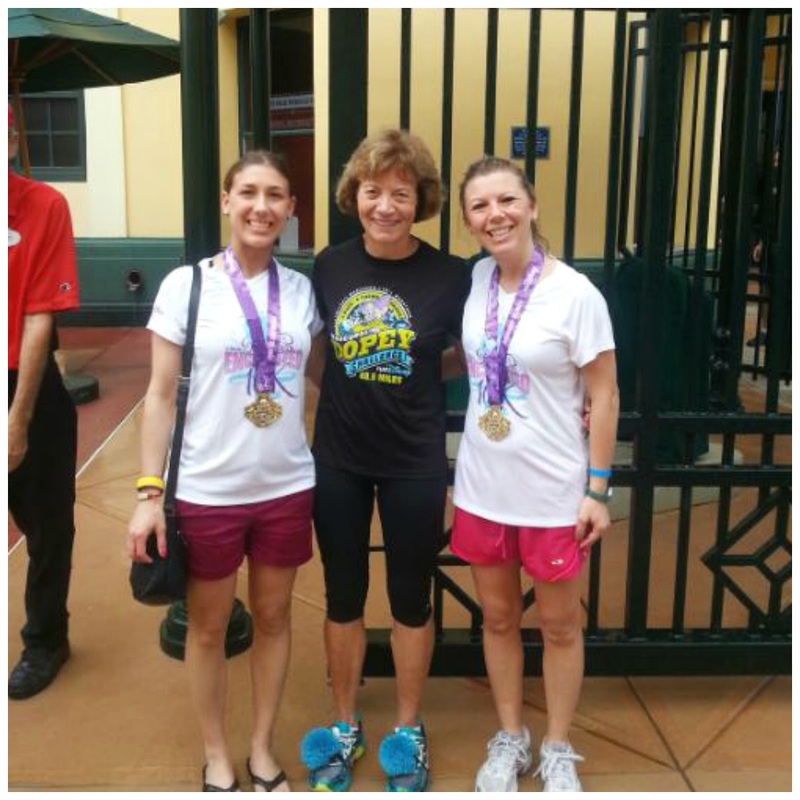 During every race weekend, Run Disney offers a Family 5K race in addition to the other race or races they have. 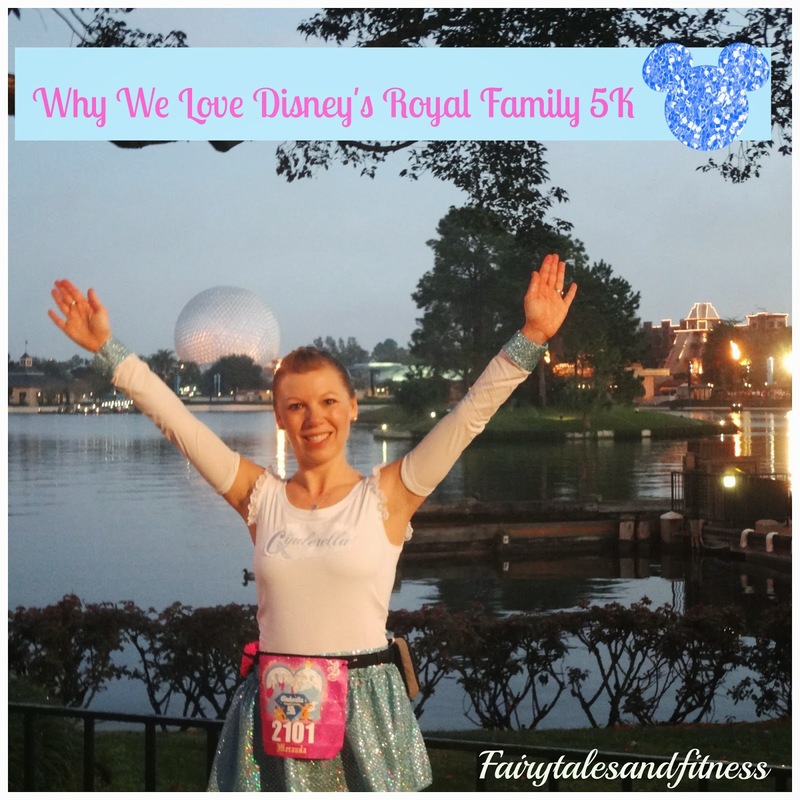 This was the first year that the Royal Family 5K was held on a Friday morning. This is a fun run and even thought there is a clock at the finish line, your finish time is not recorded. When we first started running this race several years ago there weren't even any corrals. I think last year may have been the first year for corral placement. The Royal Family 5K will always be a special race for both of us because it was our first Run Disney race ( and Meranda's first race ever). We ran this race with just our mom this year. Here are just a few reasons why we like this race so much! 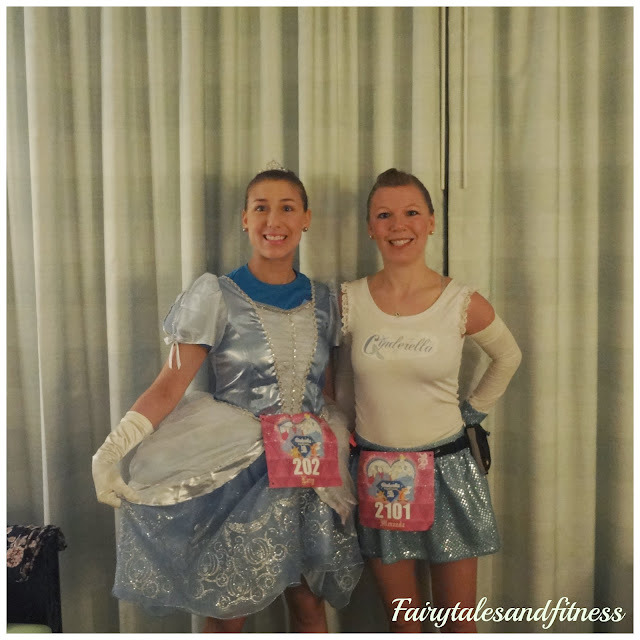 All ready for Cinderella's Royal Family 5k on Friday morning! 1. We love the fact that everyone is encouraged to dress up! Only at a Disney race can you dress up as a princess to run and no one bats an eye! 2. 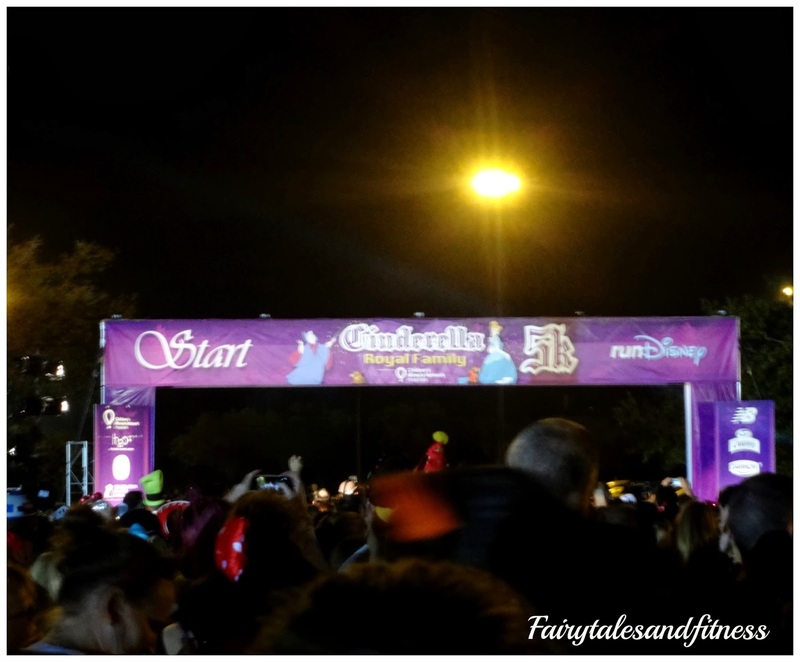 Even though it is a fun run, Disney still does it up big at the start line and finish line. Expect fireworks at the start, and a big finish at the end! 3. Another favorite thing about the Royal Family 5K is that the course is through Epcot which makes for some great picture opportunities. 4. And of course the characters along the course are always a favorite! 5. It's always exciting getting the medal presented around your neck, even if it is just a "fun" one! Every one of them represents an accomplishment! 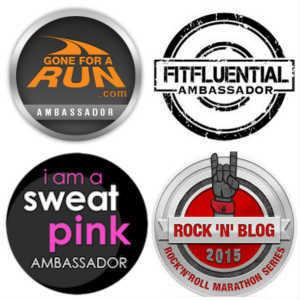 Do you have a favorite 5K that you've run? What makes a race special to you? We always look forward to the expos and always have a lot of fun. Here are our thoughts on this year's Princess Expo. As soon as we entered the Wide World of Sports Property, we were greeted by Oikos representatives who were giving out free yogurt cups! * An Unexpected Positive! 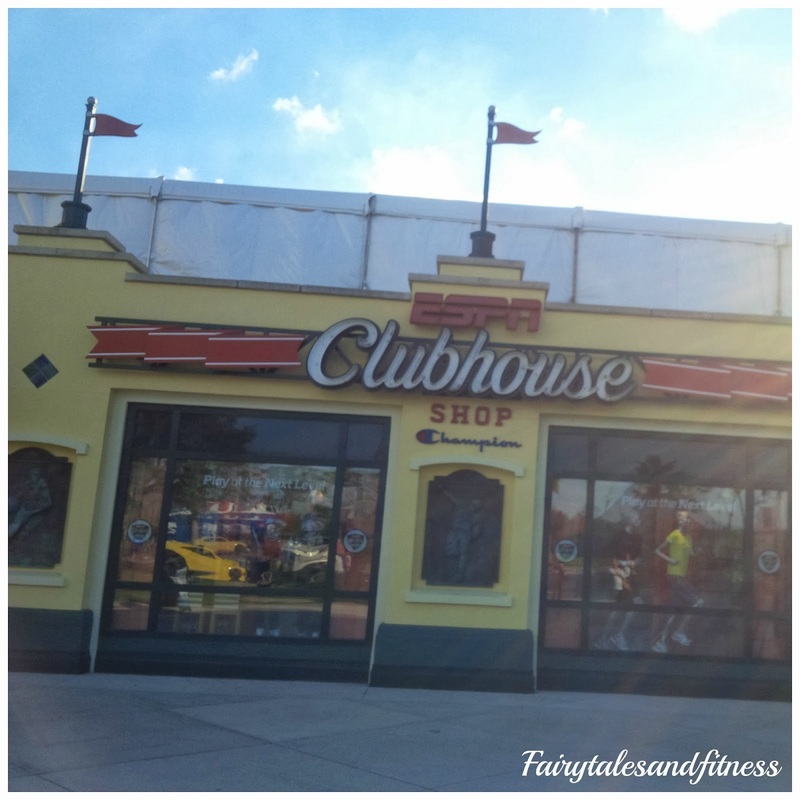 We immediately made our way over the Clubhouse so I could check out the selection of Run Disney merchandise ( remember I was looking for a jacket). I couldn't find a jacket similar to the one I purchased in the fall and wasn't overly impressed with the rest of the merchandise. * negative ( although this really wasn't part of the expo so I guess it really doesn't count). 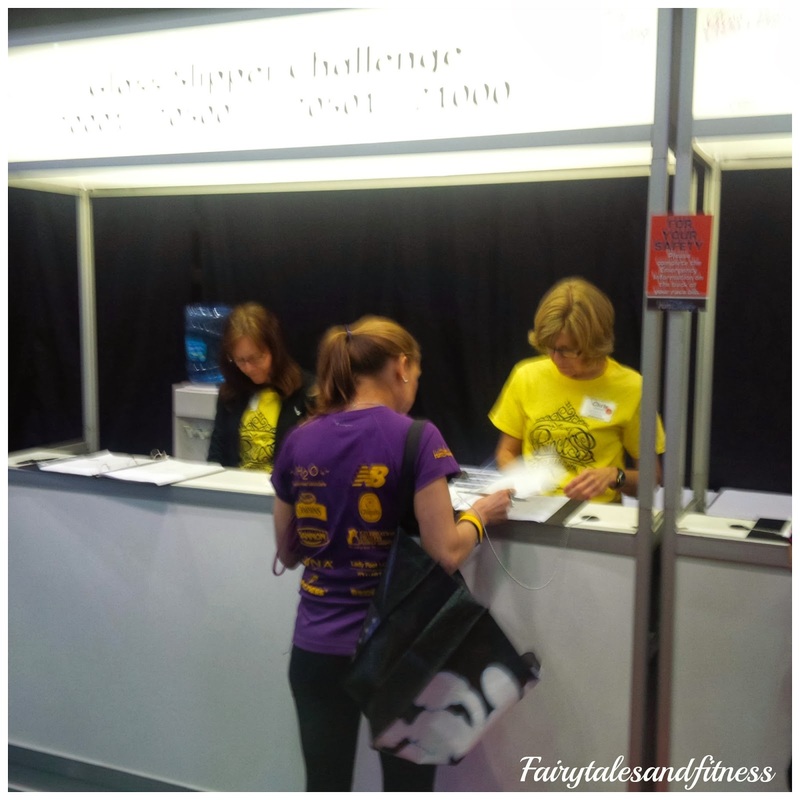 Packet pick up ( bibs and shirts) were pretty easy. By the time we got there, lines were not long at all. *Positive. I was debating on what size race shirt I wanted to get, but in the end the size I ordered fit just fine so I was pleased. *Positive. ( Although I do have to admit that I wasn't super impressed with color of the half marathon shirt). 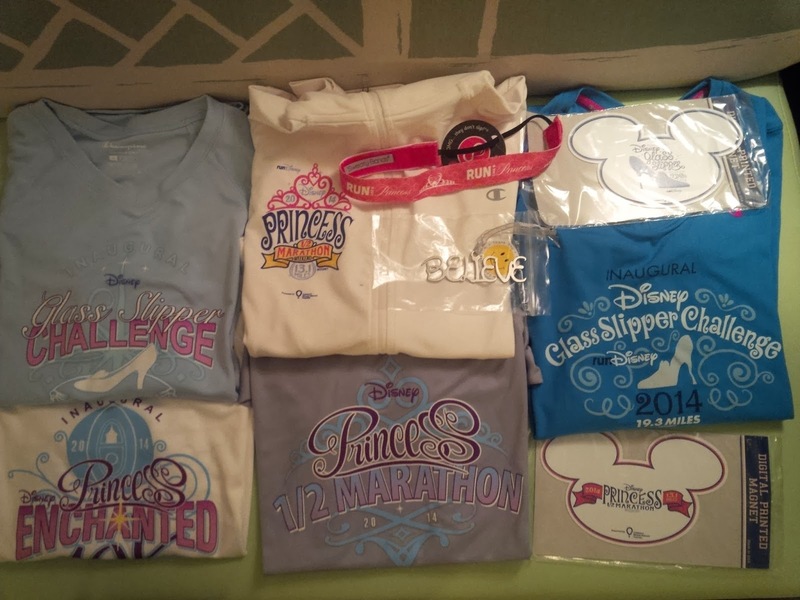 The 10K and the Glass Slipper Challenge shirts were super cute though. When we got to the official Disney merchandise booth I was very surprised by how NOT crowded it was. *Positive. Last year we had to wait in line just to get in to see the merchandise. There was still a good selection of merchandise when we were there and we were each able to find what we wanted in our size. *Positive. We were each looking forward to purchasing an "I Did It" shirt, but we were not impressed with the designs of the shirts at all. *Negative. 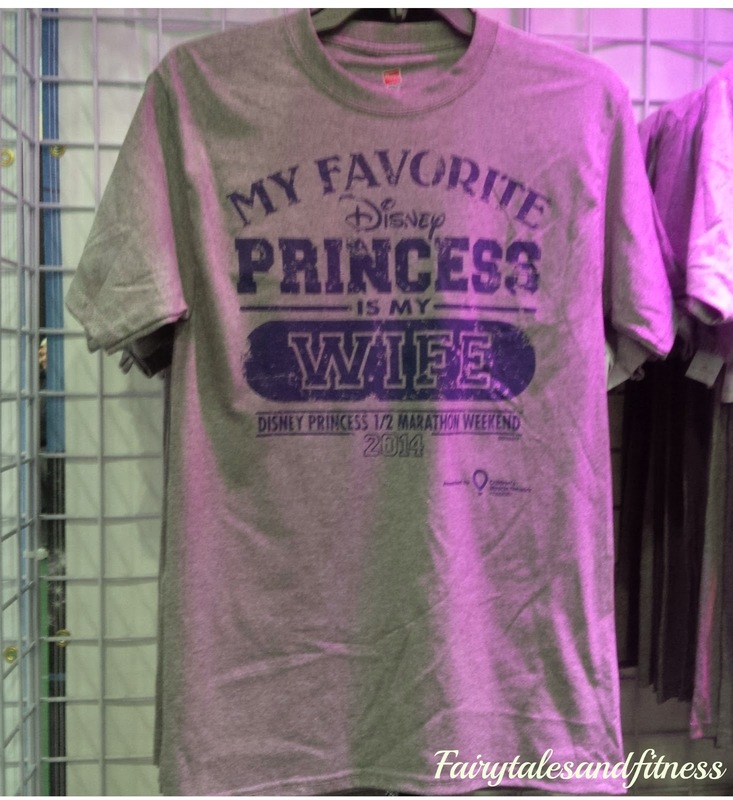 This was the first year we remembered seeing T-shirts for men at the PHM merchandise booth. We were able to see our friends Marcy and Pete from Sporthooks. 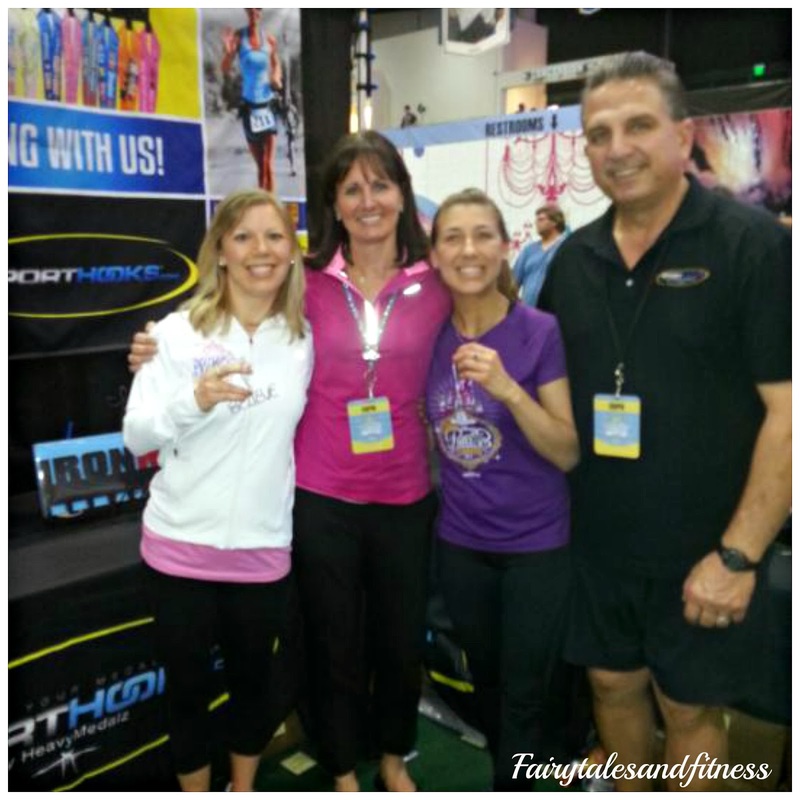 We met them last year at a race expo and then several more after that and have been in contact with them since. We didn't really spend a whole lot of time at the expo the first day. We did end up going back to the expo another day because I had won a prize that I had to go pick up. As soon as we got off the bus for our second visit to the expo it started pouring down rain! By the time we walked up to the expo building it had stopped. And look who we ran into! The Amazing Pam from We Run Disney! *Definitely a Positive! Lots of fun picture opportunities * Positive. If you went to PHM, what did you think of the expo? 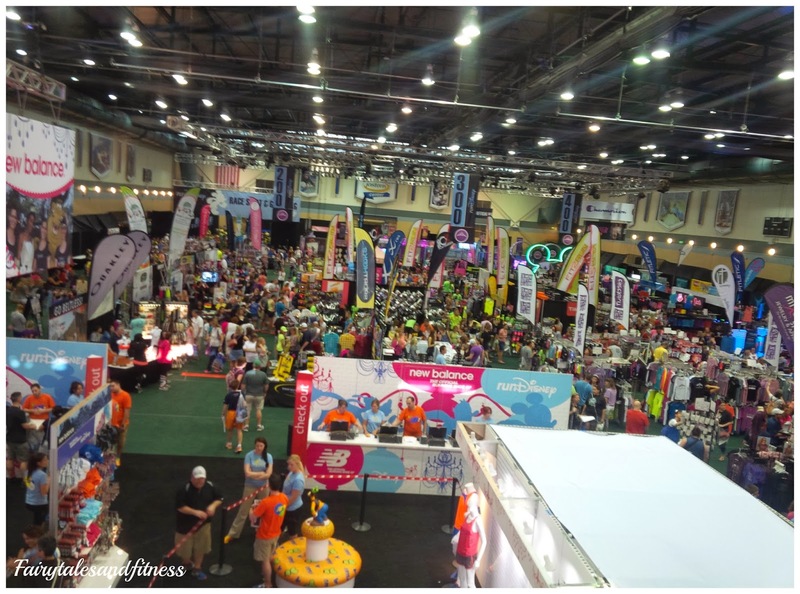 What has your favorite race expo been? 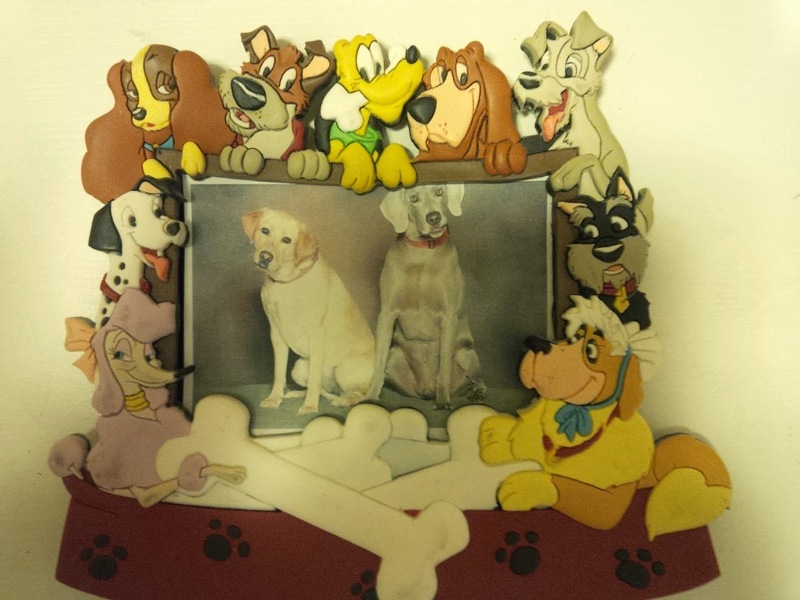 I'm participating in Deb's Wordless Wednesday and today's Disney theme is the letter "T". 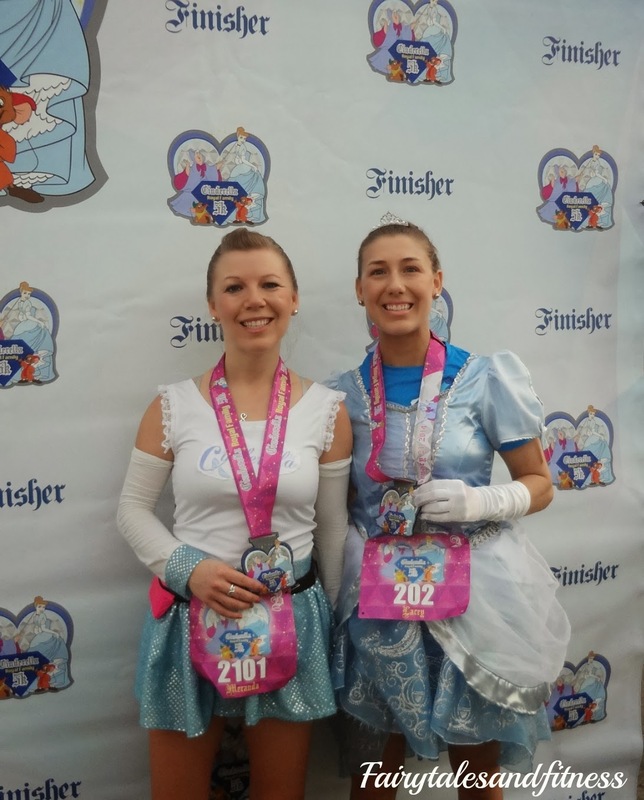 This is perfect since we just completed the princess half marathon where there were plenty of Tutus and Tiaras. Here are a few snapshots from the finish line! If you see a picture of yourself or a friend on this page, feel free to save it and claim it as your own. I don't mind! 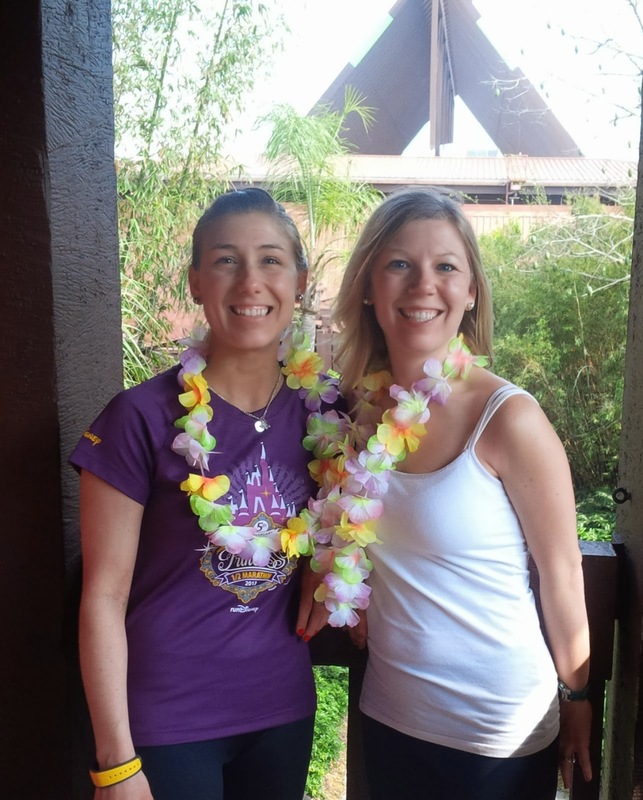 ALOHA from Disney's Polynesian Resort! This is our last day at Disney. Although we will be sad to leave this beautiful place and the warm weather, I for one am a bit excited to be returning home soon. I am completely exhausted and looking forward to relaxing in my own bed. My knee/leg pain has progressively gotten worse as I have been here. I thought the warm weather would make things feel different, but that was just wishful thinking. And of course all the running I've been doing over the past couple of days has made it even worse! I won't really be looking forward to the plane ride though because the longer I sit, the more it stiffens up. Thank goodness our flight will not be a long one. On a bright note, we have really been enjoying our stay at the Polynesian Resort. This is a great place to stay during a race weekend and I can't wait to tell you all the reasons why! So as we will be saying good bye to one race weekend at Disney, it looks like Disney will be announcing another race weekend very shortly with "Smash the Half". What do you think it might be? Maybe a men's themed race? Guess we'll find out very soon! Yea, Isn't that the truth! Thank goodness we are happily still in Disney! Sorry we missed our Friday Five post last week. We had intentions on doing it but got so busy and we're just plain exhausted every night. Getting up at 3:00 am ( or earlier) for the past four days will do that to you! This is what we've been doing while at Disney. Thursday: Expo - lots of goodies! 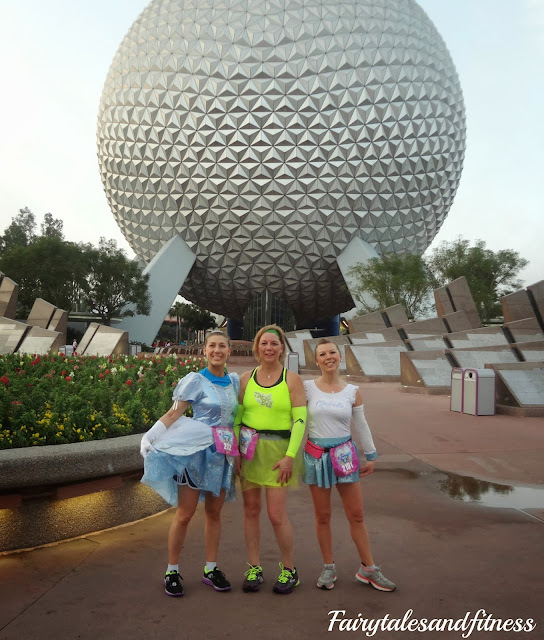 Friday: 5K, meet up, Epcot, Pasta Party. Saturday: 10K, expo, early to bed. Sunday: Half Marathon, Magic Kingdom. We are just so exhausted that we can't even begin to recap anything at this point. We have a few more days here at Disney, then it will be back to our normal blogging schedule! We hope you all had a great weekend too! I titled this "US Too" because I've already read several blog posts this morning where people where announcing they are on their way to Disney for PHM! So by the time you read this we will be on our way too! While I was finishing up my packing yesterday I found these door magnets that we had made for our trip several years ago. I thought they were fun so decided to bring them along again this year. Of course we won't be hanging up the Prince one since our dad will not be running with us this year! So will be be putting these magnets on the outside of our door (even though I'm not sure many people will see them since we will be in an inside corridor). And of course I can't forget this beauty! I make sure to bring this picture with me on every disney trip I go on and it hangs right on the back of the door (it's actually a magnet picture frame). This week's wordless Wednesday theme is Disney History! This is perfect because I just learned an interesting fact on my last trip! While visiting Disney on a recent trip, we spent a few days at Wyndham Bonnet Creek. This was my very first time staying off Disney property ( gasp, I know). But I was perfectly okay with this because we had just spent a few days at a Disney resort! This was one of our beautiful views from the resort. Okay, I'm going to try to keep this interesting story brief ( we'll see how that goes)! When Walt Disney started buying up acres and acres of land in the central Florida area, word of that got out to a family living in Asia at the time. They owned a key piece of land surround by land that Walt already owned. Walt desperately wanted this land but the family would not sell. Therefore making this property land locked by Disney. Many years later the family did end up selling the property to Wyndham properties. Thus making the Wyndham Bonnet Creek Resort the only Non Disney resort right in the middle of all the "Magic". I have fallen in love with this resort! The views are phenomenal and unlike any other on Disney property. Word is that although Disney does not own the land this resort is on, it does own the "air rights". Can you imagine owning the air? 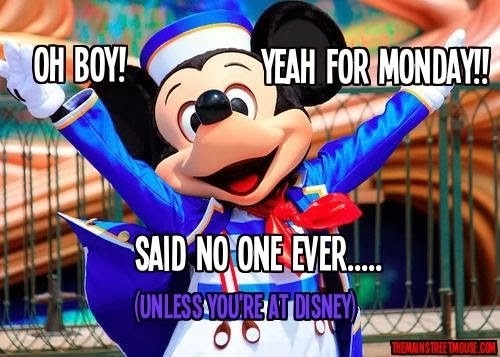 Well, I guess Disney does. 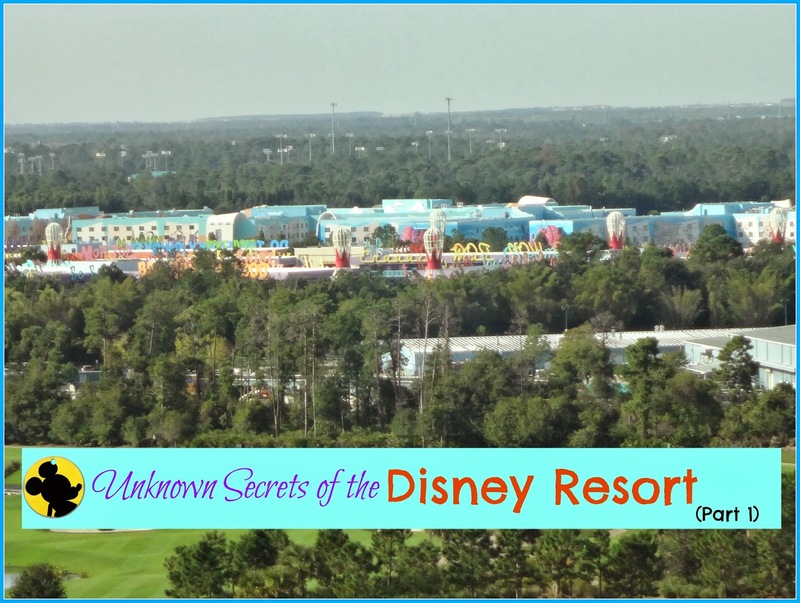 They have complete say over how tall the Wyndham Bonnet Creek resort can build up and what they put on their property that could possibly obstruct the Disney sky line. Views of the Swan and Dolphin and Boardwalk area. View of Disney's Hollywood Studios and off to the right you can see Expedition Everest! View of Disney's Pop Century Resort. As much as I love staying on Disney property, I REALLY enjoyed staying at this luxury resort. I really felt I was on top of the world ( Disney World that is)! I definitely look forward to staying here again! Maybe I'll learn a little more Disney history! Have you ever stayed at an off Disney property? Would you consider it? Please remember that even though we will be in Disney this week, we will still be blogging! Please continue to follow along! Thanks Deb for hosting another Wordless Wednesday. In any long distance race, you'll want to make a hydration plan! Will you be stopping at the provided water stations or will you be providing your own water? 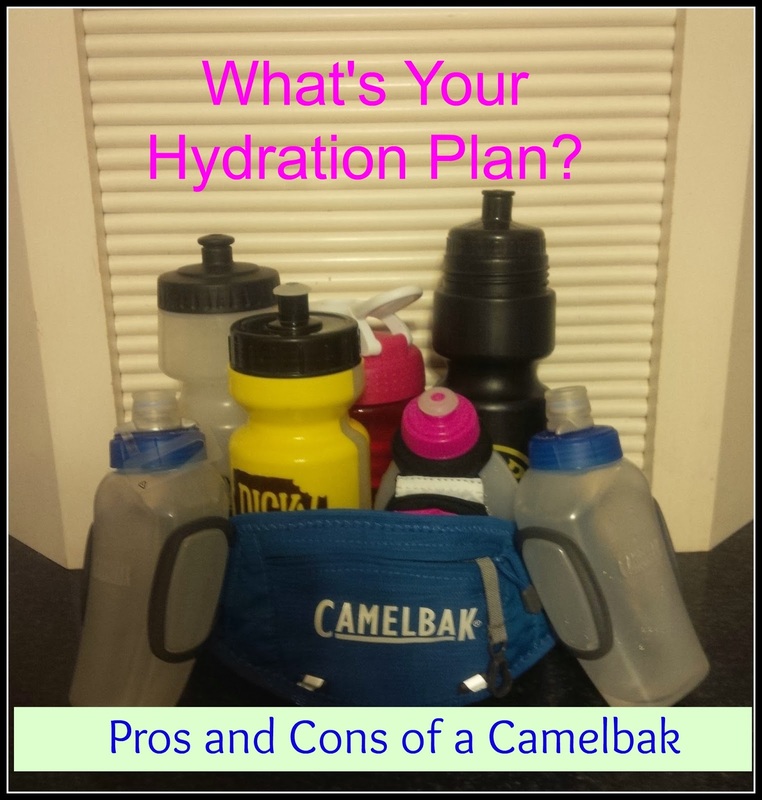 If you plan to provide your own water/beverage how will you be carrying it? Will you do hand held? Backpack? Hydration belt? 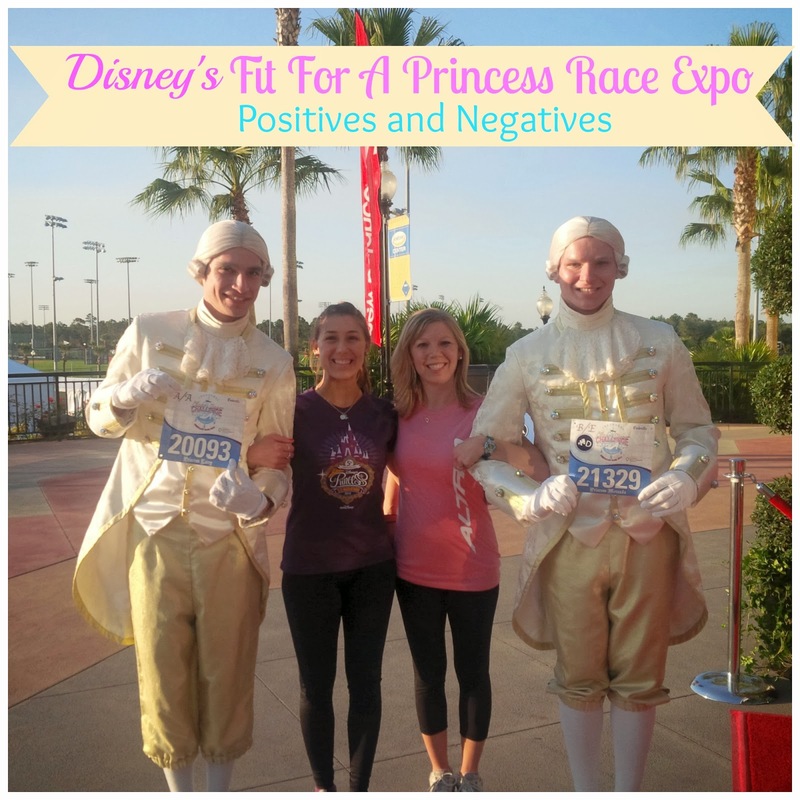 I've gone through many thoughts as I contemplated what I was going to do for the Disney Princess Half Marathon. I've ran 13.1 miles before without taking a sip of anything ( which I know is not a smart thing to do) but am pretty certain with the Florida heat and humidity that I will need to stay hydrated. I made up my mind that I wasn't going to bother bringing my own water because there would be plenty of water stops along the half marathon route (approximately 9 water stations). But when corral placement came out and I was able to see just how many runners would be participating in this race I started to get nervous. What if it's too crowded? What if I can't get to a water station when I need too? I don't want to get too close to a water station because I don't to slip and fall on a wet spot or a paper cup that someone threw. I know these are things that I more than likely don't need to be concerned about, but why take the chance! My second option was obviously to carry my own water. I have this perfect little hand held bottle that straps on to my hand. I bought it at the Wicked 10k expo last year in VA Beach. It's very light weight, has a pouch on the side for gummies and GU, and I've even taken it on some practice runs to see if I could still manipulate my camera while holding in my hand, and I can! But then, I was approached with a third option. The people from Camelbak sent me this ARC 2 hydration belt. At first I wasn't sure that I would use it for the half marathon ( it looked like way too much water). Shortly after I received it I strapped it on and took it for a 4 mile run. I wouldn't normally carry water with me for this short distance, but I wanted to try it out. As you can see, it comes with 2 bottles. I took one of the bottles off the belt for this run ( I didn't need both). 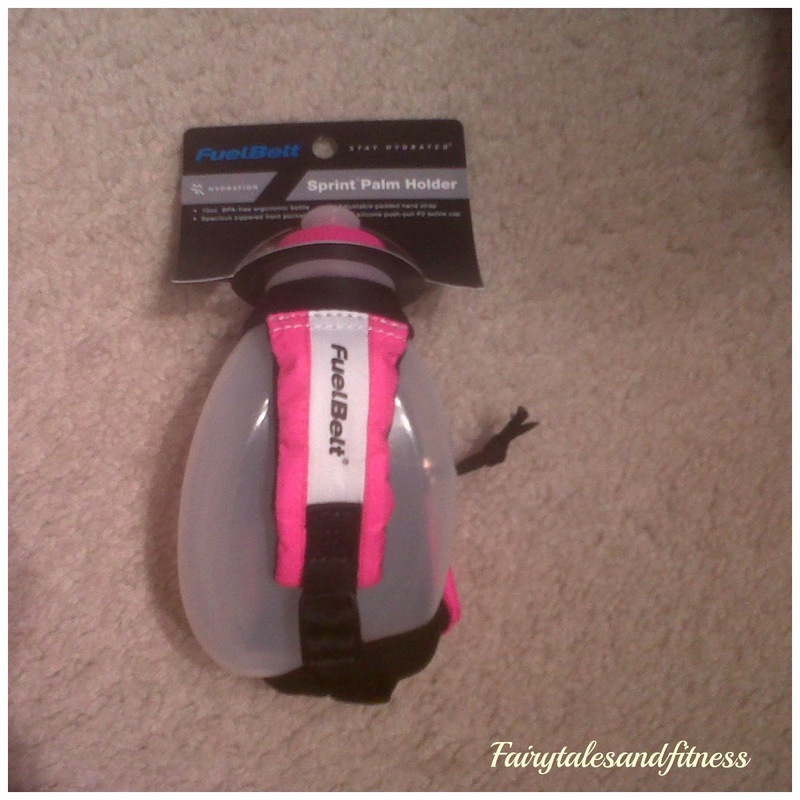 My Pros and Cons list for this hydration belt. * Loved that I can carry water Hands Free! * Small Pouch. I am glad that this belt has a pouch on it, but it's very tiny. I can fit my phone in it but that's it. I feel like I would have to wear my Spi belt as well if I wanted to carry cash with me for after the race, or anything else. * I wish it had more pockets and loops to hold other things. 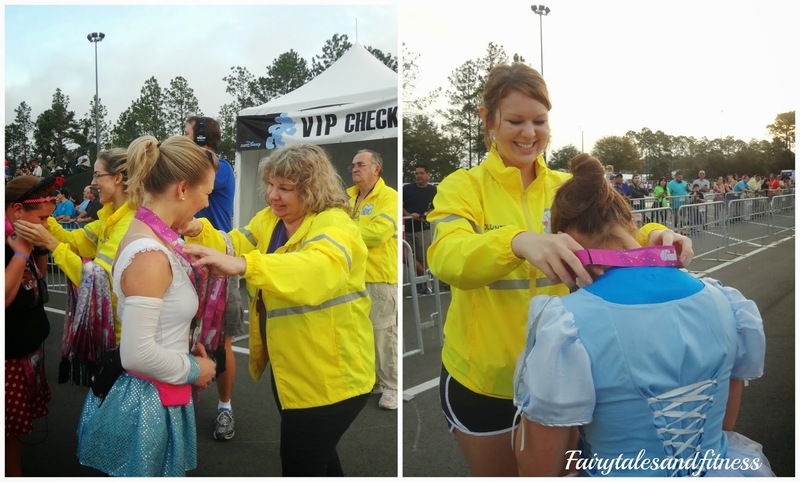 With all this being said, I am very pleased with the Camelbak Hydration belt but not quite sure if I'm going to use it for the Princess Half marathon. If I do, I probably won't fill both of the water bottles up. I guess it will depend on what all I feel I will need to take with me on race morning. I do really like the fact that I can run Hands Free! 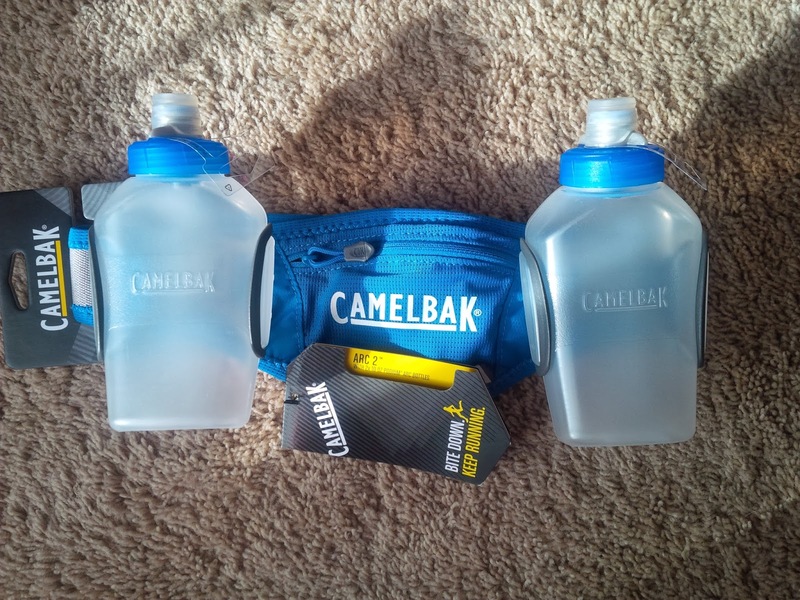 I'm thinking if I do use the Camelbak, I can carry both water bottles so my running partner ( my mom) can run hands free as well! *I was provided this ARC 2 hydration belt from the very generous folks at CamelBak, but all opinions are of course my own. What is your hydration plan for longer races? What will you be doing for PHM? 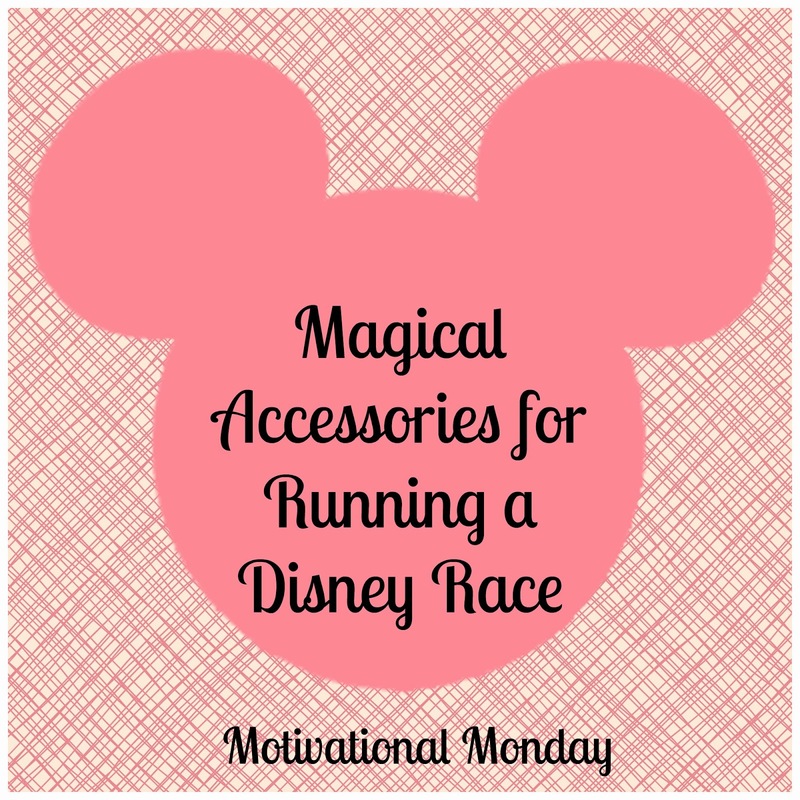 Adding Some Magical Accessories to a Run Disney Race. 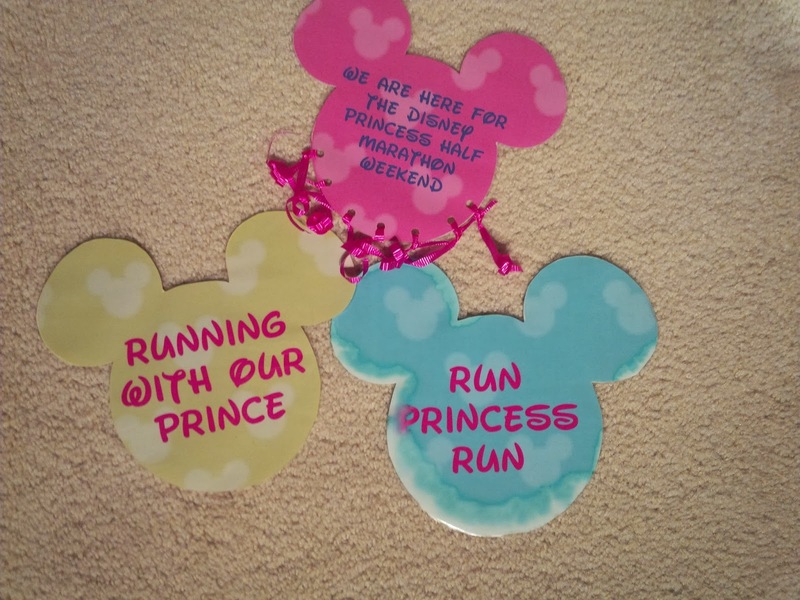 As I was getting stuff around to pack for Disney's Princess Half Marathon Race Weekend, I came across a few Christmas gifts from my mom that I wanted to make sure I brought with me. 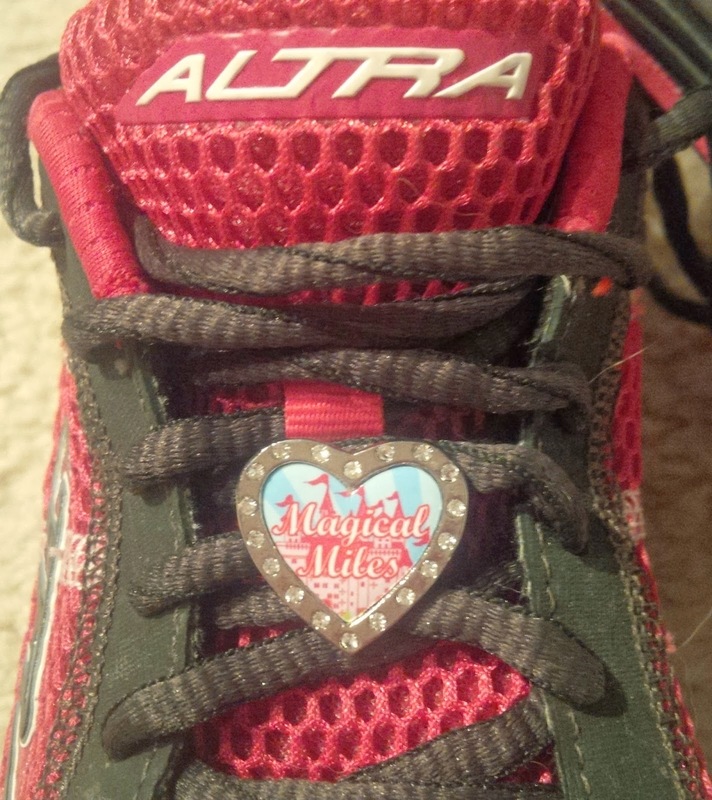 First and Foremost is this shoe Charm! 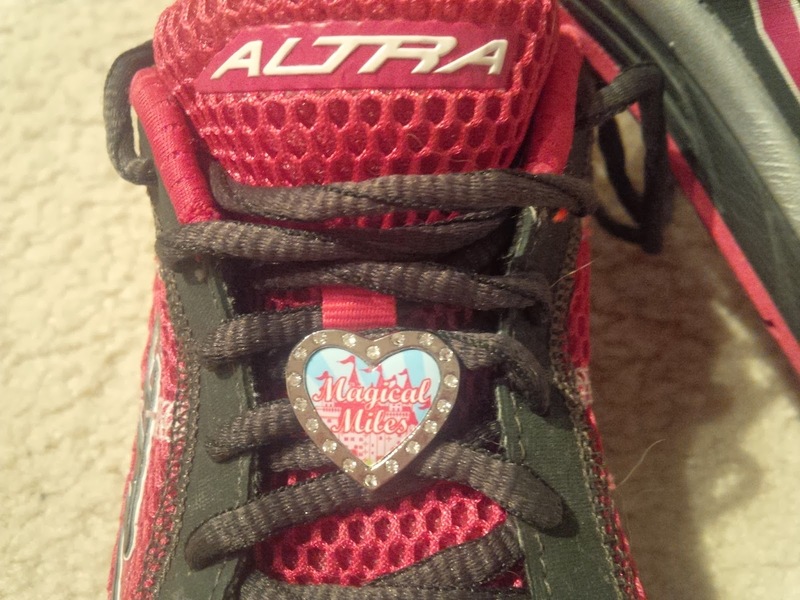 I am in love with this charm that says "Magical Miles" I would love to get some more of these charms to represent other non-Disney races that I do! 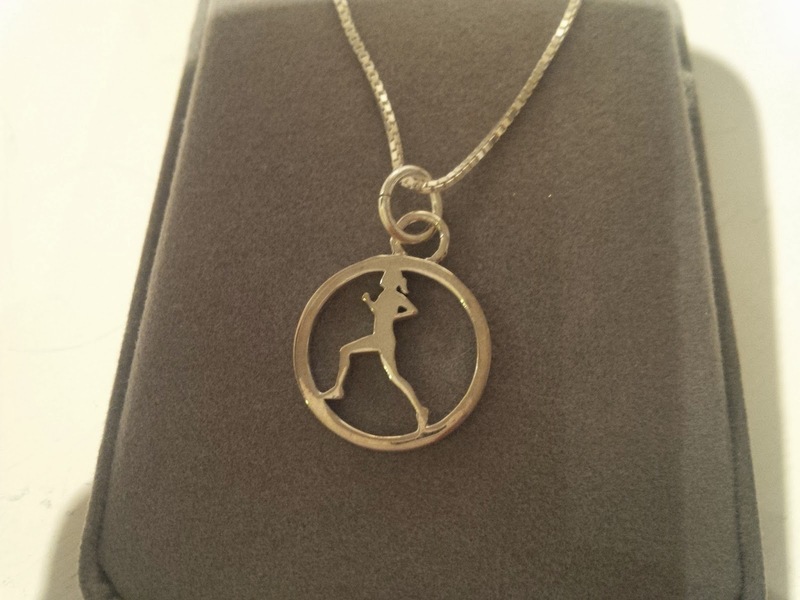 I will also be wearing this new Runner Girl necklace during my races. Check out this super cute hair band. 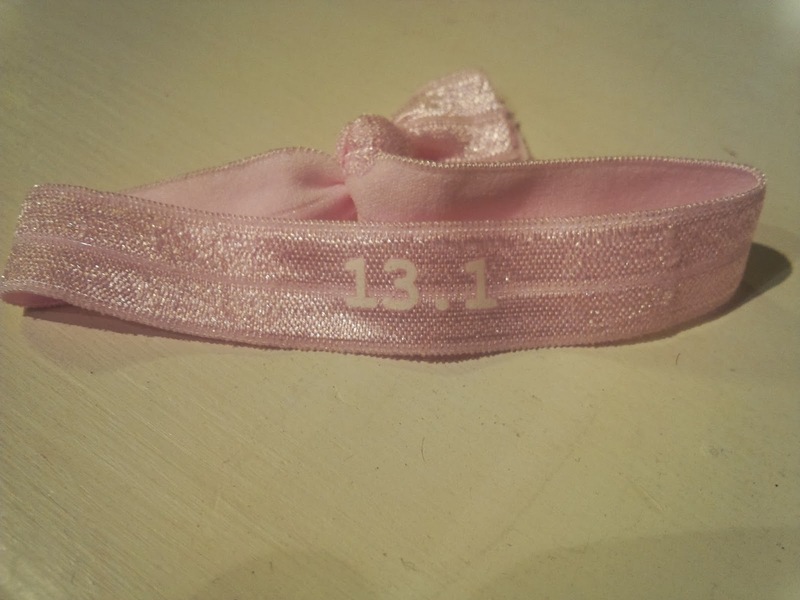 Because it is so light in color you might not be able to see that it has a 13.1 on it. So these are a few of the things that are motivating me this Monday! I can't wait to get to the warmth of Florida and go for a run! I admit I took the entire weekend and week off from running. I did a LOT of foam rolling and massage sticking! What fun things will you be wearing with your race costume? Do you have something special that you were during all your races? P.S: Even though we will be departing for Disney this week, we will still be keeping up with the blog so please continue to stop by! Thanks! 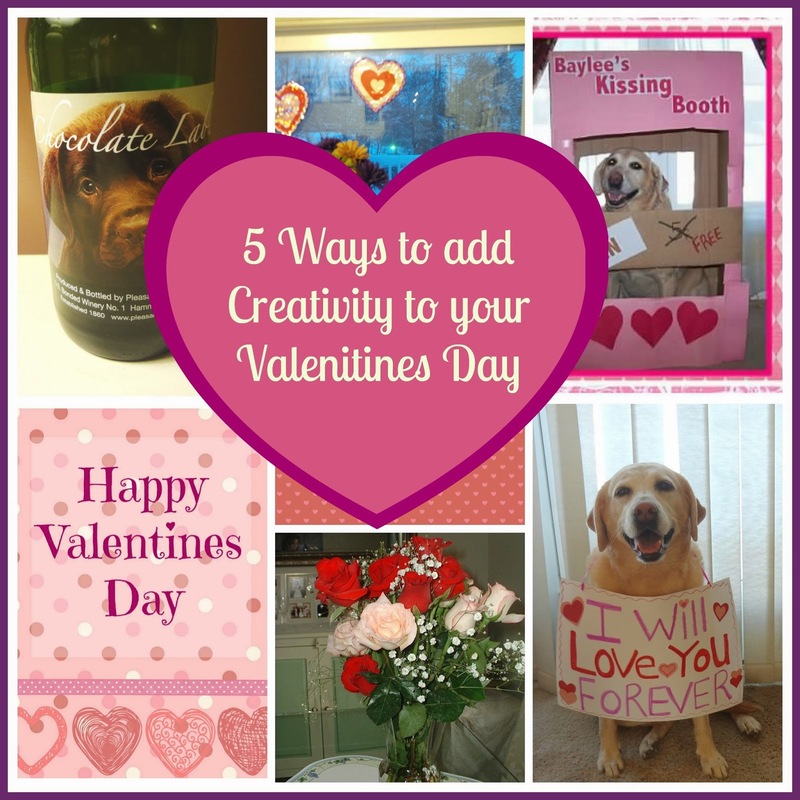 We don't go all out for Valentines day, but it is a time that we can have a little fun and be creative! 1. The Cards: Baylee and I finished our Valentines for this year and have them all sent out. Hopefully this will put a smile on a few faces! 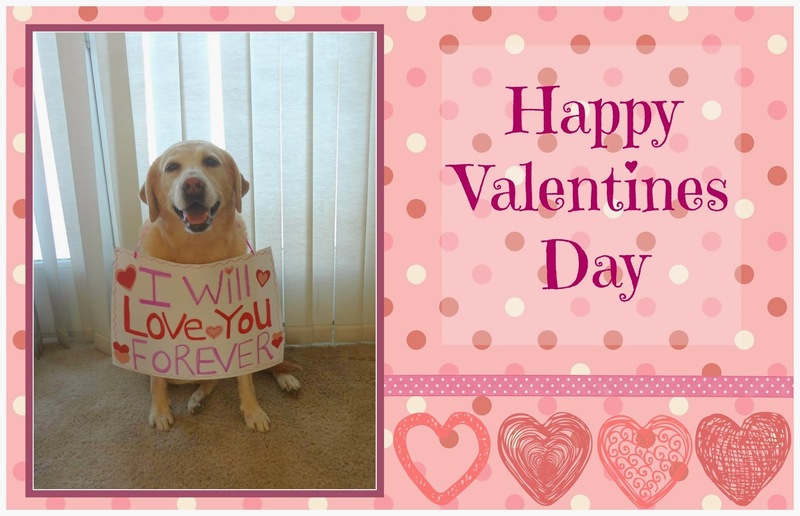 If you are interested in seeing our past Valentines you can check them out HERE! 2. The Meal: I imagine Valentines day is one of the busiest nights at restaurants. I choose not to participate in the hype! I would much rather stay at my home and prepare a meal. In the pasts, we've gotten take out from various restaurants ( did you know you can get take out from Red Lobster?) and brought the meals home. This year I am going to make a meal at home. 3. The Drinks: I'm not a big wine person but I had to share one of my favorites. 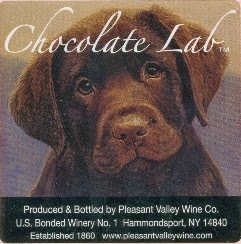 Yes, maybe I was attracted to it because of the name, but I do like the sweet chocolate flavor! 4. 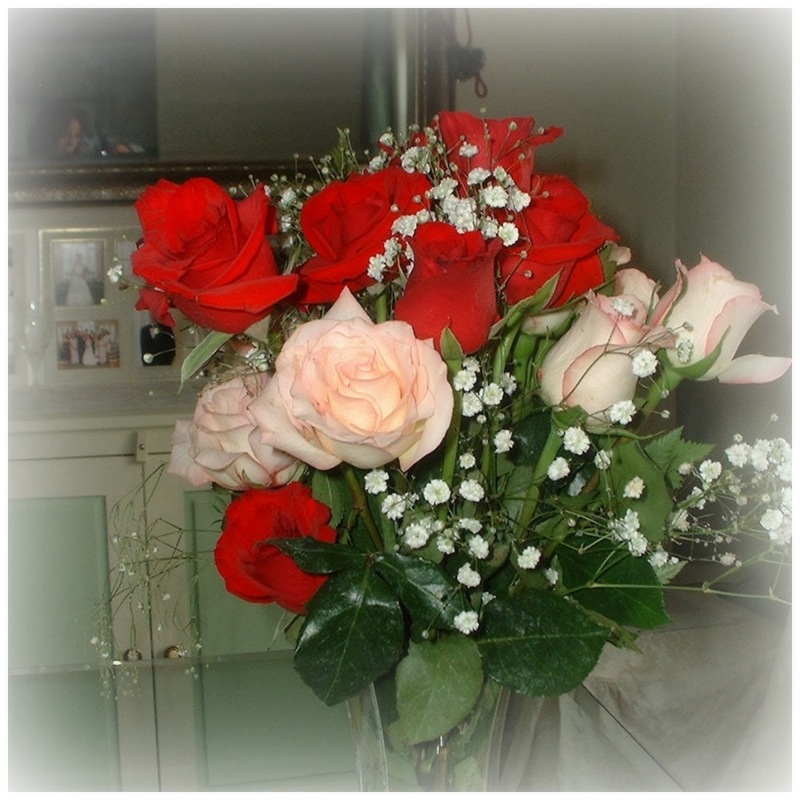 The Flowers: Every year I receive beautiful flowers but I know how costly they can be and they don't last very long. So this year we decided on maybe some practical gifts! 5. The Candy: For year and years my husband would get me a HUGE variety box of the Jelly Belly beans. We had so many beans that we still had them on Easter. Although they were super yummy and I loved all the varieties, this tradition had to come to a stop! One year we decided to make Valentine candy bags for each other. We put several candies that we thought each other would enjoy in the bag. We blind folded one another and made them taste each item in the bag to see if they could guess what it was. Guess what was in my bag? These Jelly Belly Bean Boozled Jelly Beans. I had to eat several of them with my eyes closed and guess what flavor they were. 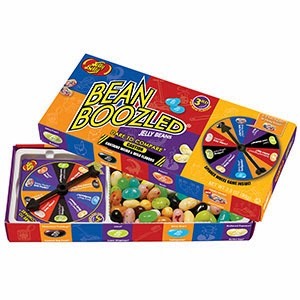 ( I had know idea they were the Bean Boozled beans). If you've never heard of these beans before, you'll want to know that they are "normal" flavored Jelly Beans mixed in with "gross" flavored jelly beans. But you don't know which one is which. For example. The Blue ones could be either Blueberry or Toothpaste, the black ones might be licorice or skunk spray, the yellow ones are buttered popcorn or rotten egg, the orange ones could be peach or barf, the brown ones are chocolate or dog food, green could be booger or juicy pear, white is either coconut or baby wipes, and the tan ones could be caramel corn or moldy cheese. The funny part is that you don't know which is which until you taste them. As I was blind folded and tasting these beans, Scott was waiting for me to give a disgusted reaction because he thought I had eaten a "gross" bean, but it turns out the ones he kept giving me just happened to be "normal' ones, so I didn't really have a reaction. This kept us entertained all evening. I then took this box to school and the kids just loved them! I used them as a class participation incentive. When they would volunteer to answer questions ( it's like pulling teeth to get high school students to participate) they would get a chance to spin the wheel and pick a bean. They were all hoping to get a "gross" bean and when they didn't, they would volunteer to answer more questions! I had a very engaged class that week! Okay, so tell me what you do on Valentines day? Thanks to Courtney from Eat Pray Run DC for sponsoring the Friday Five Link up! The Rest of Our Run Disney Costumes. A few weeks ago I did a blog post showing the Run Disney outfits I was working on for The Princess Half Marathon race weekend. I had my 5K race outfit completed, but was still undecided as to what I was going to do for the 10K or the half. Well, now we all have our outfits planned out and my mom and I have ours completed. I don't have pictures of Lacey's outfits because I have some finishing touches to put on once we get to Disney. Take a look. My Cinderella running outfit for the 5k. 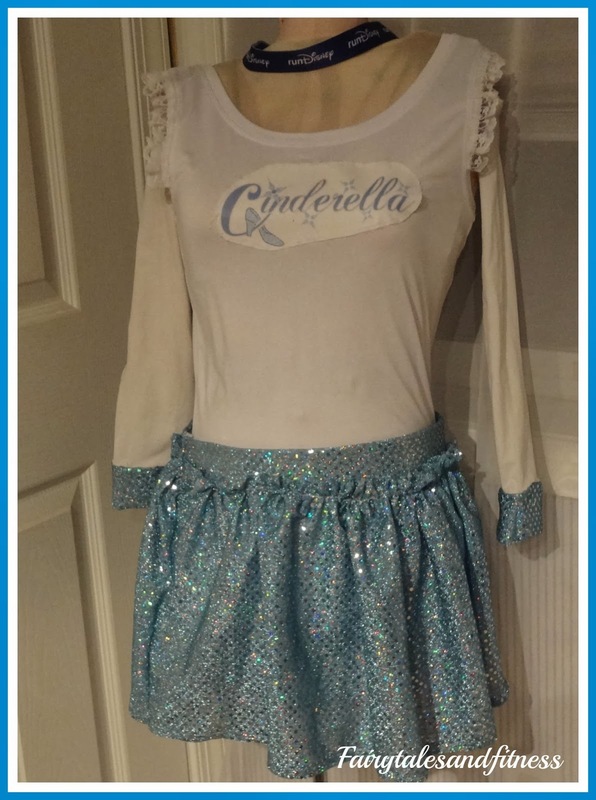 Lacey will also be running in a Cinderella outfit. 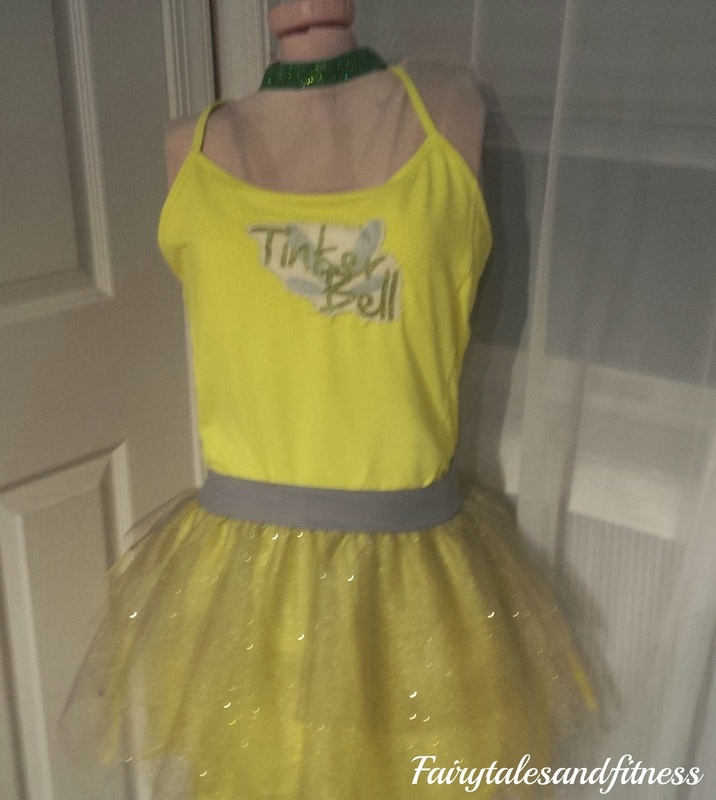 My mom's Tinkerbell running outfit for the 5K. 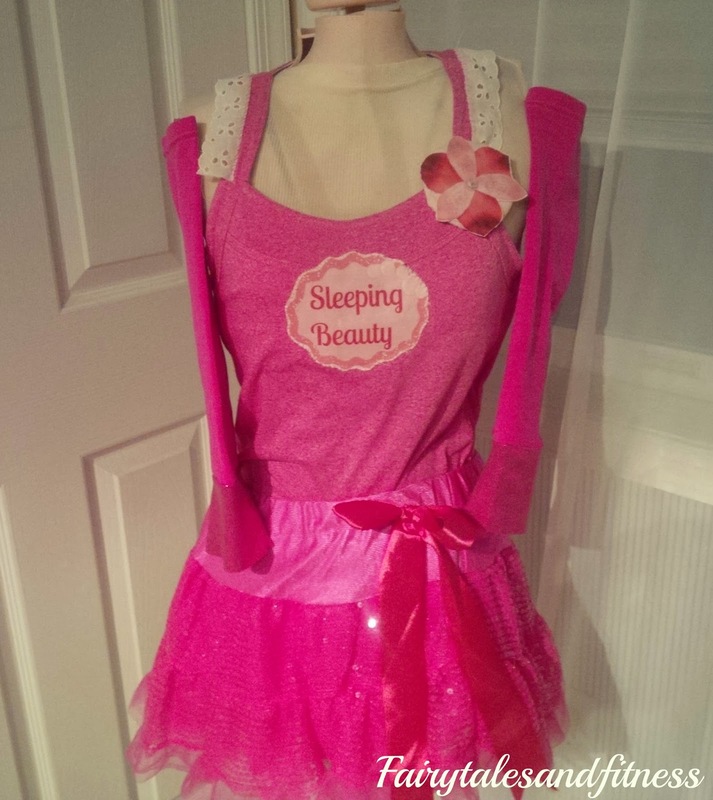 My Sleeping Beauty outfit for the 10K. Lacey will have this same outfit but in yellow! Any ideas who she might be? And then for the half, we didn't want to get too fancy. 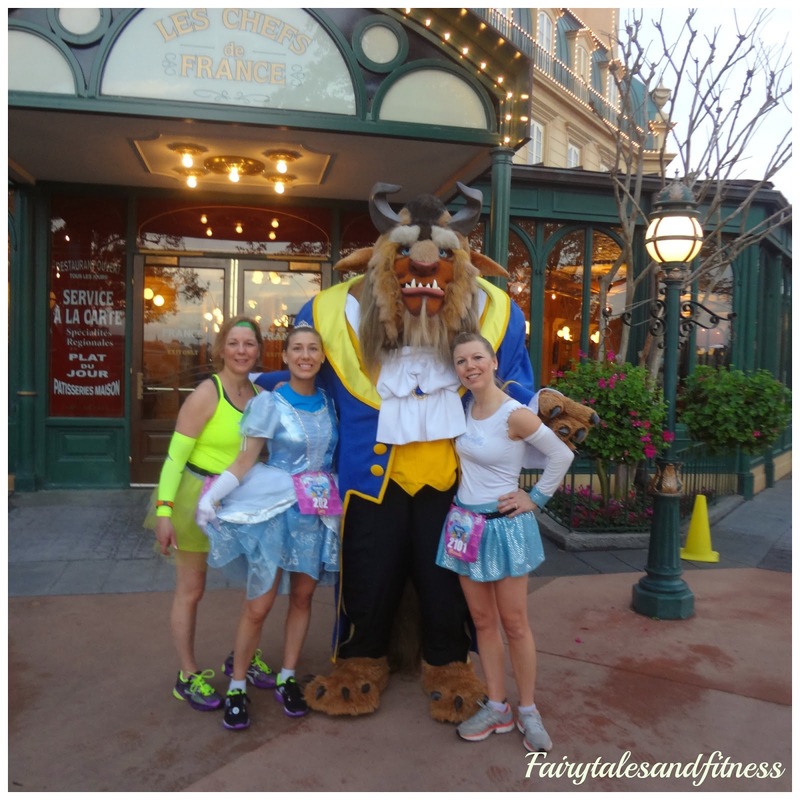 We wanted to make sure we were wearing our "real" running gear but yet wanted to add a bit of a Disney twist. So this is what we came up with. This is my outfit for the half. 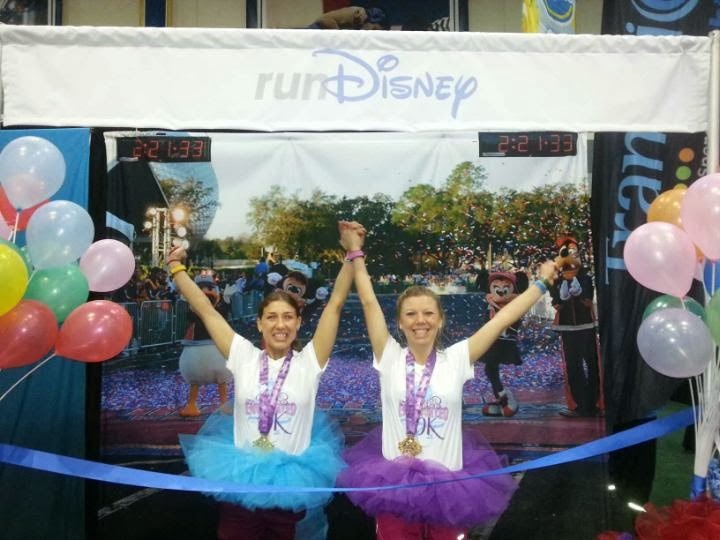 Lacey will also be wearing a pink running skirt and black compression sleeves but she will have a white running tank with a Minnie mouse on it. 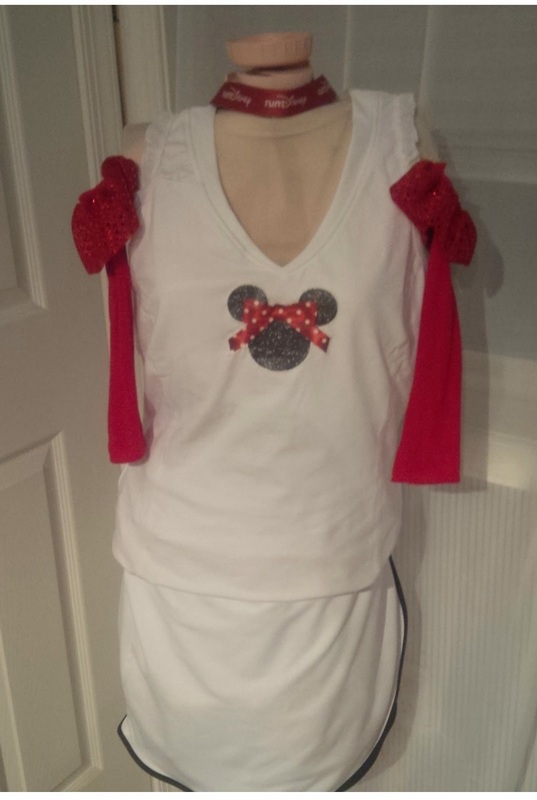 And in true Disney fashion, my mom will also be wearing a Minnie Mouse on her outfit as well! 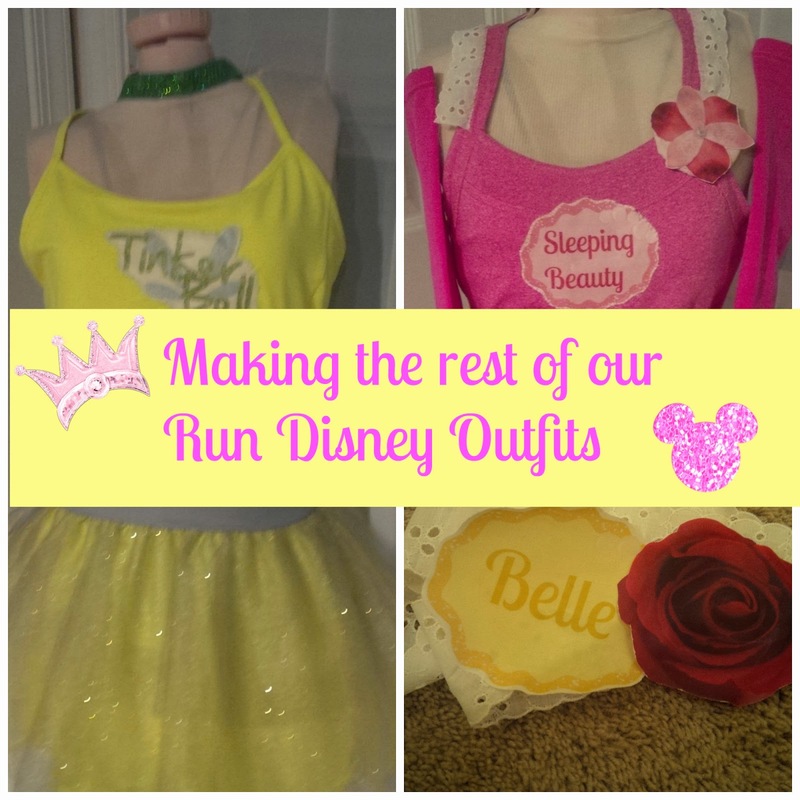 I had so much fun coming up with outfit ideas for this race that I've already started coming up with ideas for my next Disney race! Are you done making your race outfit for PHM? What was your favorite outfit that you've ever raced in? 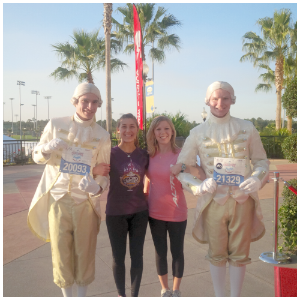 Running isn't the only thing going on at Disney!